Liverpool beat Chelsea 2-0 in a crucial Premier League match yesterday. Sadio Mane and Mohamed Salah both scored goals in the second half of the match after the first half ended goalless, to take their team home. Liverpool now lead the league table with 85 points from 34 matches, ahead of their nearest rivals Manchester City by two points. However, City have a game in hand, and the title race promises to go down to the wire. Chelsea remain on 66 points from 34 matches, and would have to struggle their way into the top 4. They have now lost to Manchester City, Arsenal and Liverpool in the second half of the Premier League. Liverpool, on the other hand, have now beaten Chelsea, Arsenal and Tottenham in the same period. Yesterday’s match was yet another indication that Salah has overcome his recent lean patch. He played nine games without scoring for Liverpool, but has now scored in both of their last two league matches. Salah played his part in Liverpool’s first goal too, as the goal resulted from his one-two with one of his teammates. His penetrating run into the Chelsea penalty box led to the first goal. Moreover, the second goal he scored was a thing of beauty, as his rasping left-footed shot from 25 yards out gave no chance to the Chelsea goalie. 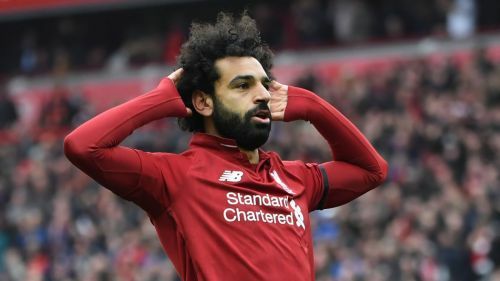 It was one of the finest goals scored this season, and Salah now has 22 goals in 44 matches. Salah was a constant threat through the right flank yesterday, and kept cutting in frequently. His return to form is undoubtedly great news to all the Liverpool supporters; he will be absolutely crucial to his team's chances as they look to fend off City towards the home stretch.